Over the past few months I have become a huge fan of Tropical Traditions organic coconut products. I've had the pleasure of trying their coconut peanut butter and their coconut oil. I have nothing but great things to say about the company and their products. With the holiday right around the corner, Tropical Traditions organic shredded coconut is perfect for holiday baking! It's been on my holiday "to-do" list to make cake pops. 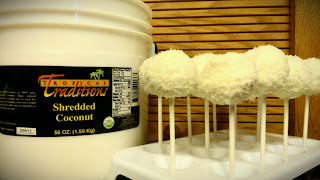 What better way to make adorable snowball cake pops than to sprinkle them with shredded coconut! 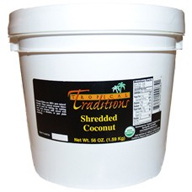 Tropical Traditions Organic Shredded Coconut tastes and smells delicious! The texture makes it perfect for desserts and baking! I've used it for cake pops, chocolate chip cookies and an ice cream topping! 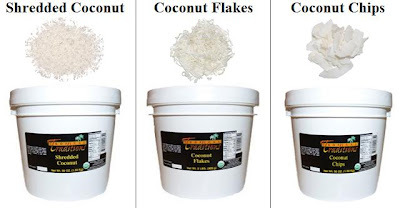 100% natural Shredded Coconut, Coconut Flakes, and Coconut Chips are made from organic dried coconuts in the Philippines that are grown with no fertilizers or pesticides. This premium dried coconut contains no additives or preservatives, and is not sweetened. 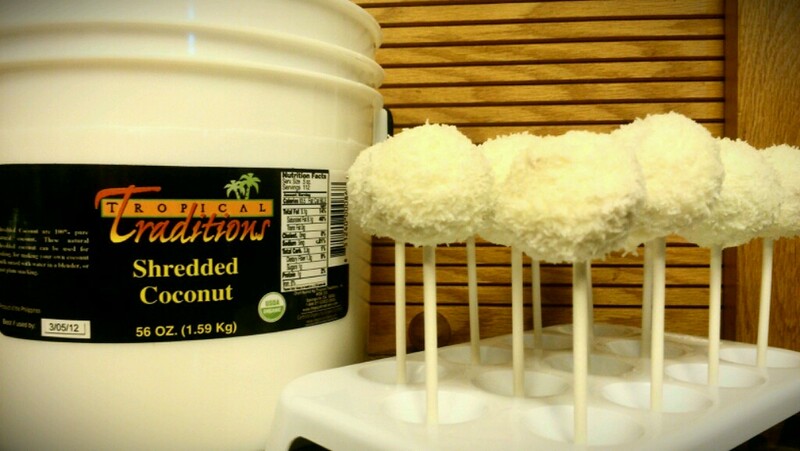 Unlike most dried coconut on the market, our dried coconut products are not treated with sulfites to keep them white. They are a great addition to recipes and baking, or just for snacks! **Note: The Shredded Coconut is a very small cut, suitable for baking, such as making macaroons. The Coconut Flakes are a larger shredded coconut cut, perfect for garnishing or toppings, such as the top of a coconut cream pie. The Coconut Chips are a much larger cut that can be used as a snack food. You can mix them with nuts and dried fruit, for example. Anyway. A product from Tropical Traditions that I'd like to try would be the coconut flour. Thanks SO much for pointing that error out to me. It has been updated! There are so many but most of all i would love to try the freeze dried strawberries! YUM! I'd like to try their antioxidant greens. I would like to try the Oats.I'm a big fan of oats.I like them and they are good for you. I would like to wish you all a Safe and Happy Holiday! I'd love to try their coconut cream concentrate. I'd like to try the raw honey. Highly recommend their coconut flour and flakes. I'd like to try their coconut cream! Those cake pops are a great idea. I would like to try their coconut flakes. I would like to try the coconut chips! Any of the freeze dried fruit sound deliscious. Hoping to try their coconut flour. I would love to try their Coconut Cream Concentrate. Yum! I'd also like to try the Coconut Peanut Butter! Any of the Organic Dark Chocolates would be good, especially the mint. Yum!